Perfect for replacing halogen flood lights. If you are looking for a high quality LED flood light then look no further. This Unique Flood light is made out of Aluminium and has toughened glass. These Luminis 10w high quality Aluminium Alloy Heat-Sink Flood light will light up at 900 lumens, that's 90 lumens per watt and very high power efficiency. 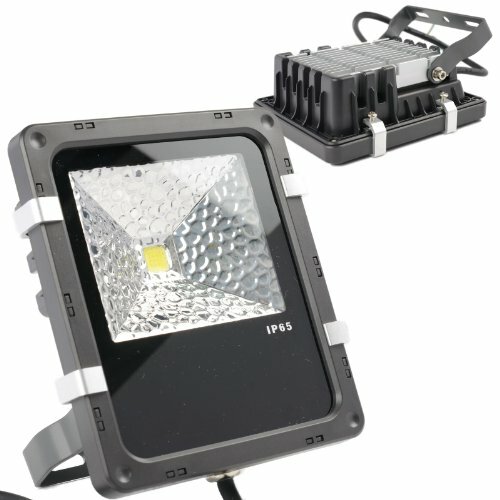 The Luminis Led flood light is rated at IP65, which makes it fully waterproof. Ideal for outdoor/Indoor use. Its Aluminium Heat sink will ensure that the flood light stays within operational temperatures. Made of high quality Materials and the LED driver is full waterproof too. All our LED products go through various testing phases, i.e. age test etc. before they are passed for Sale and are packed. Illumination for signboard, building and commercial building, wall washing. Use in lobby, window, arch, parking lot, gymnasium, dock, park, bar, shop etc. Luminis is a brand you can trust. We invest heavily in quality control and source only the best component parts. Luminis pride themselves on quality and innovation, offering a comprehensive 3-year Warranty on all their LED products. Don't buy cheap versions, which will fail or will not be as bright as these. Trust Luminis to provide you with high quality products. Housing Material: Aluminum Alloy & toughned Glass.